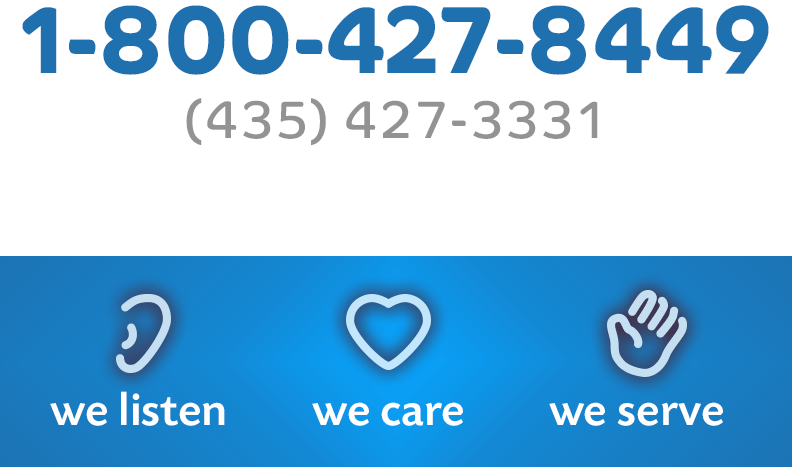 CentraCom offers a 24-hour customer service call center available everyday of the year. We constantly monitor our network, but if we don’t know you are experiencing problems we will not be able to respond to correct it. We are working to make the best network available. And, even if you never need it, all of our services come with around-the-clock technical support. We want all customers to experience the wonderful world of communication, whether it be television entertainment, high-speed Internet service or reliable telephone communications. We understand how important these services are to you and your family. If you have general billing questions, please call the business office during regular business hours (Monday – Friday, 8:00 AM to 5:00 PM). But if you experience an outage with your telephone, cable TV or Internet service, we encourage you to call at any time. If you have a question regarding the quality of your service after regular business hours, please feel free to call toll-free 1-800-427-8449. We have technicians on call that will respond to your needs. Automatic Payment Form: Enjoy the convenience of automatic payments with your credit card or a direct withdrawal from your bank account (ACH). Your bill will always be paid on time. The balance on your telephone/Internet/cable TV statement will be paid automatically between the 15th and 20th of each month. Click here to download the form, then fill it out and send in to our offices. A CentraCom cut.net email address is included with Internet service. If you use the cut.net address, follow these steps for setting up your mail client. Visit www.centraspeed.com to test your Internet speed on the CentraCom network. I hereby agree to keep the above service for the time period indicated. I understand that if I fail to fulfill the entirety of this contract, a penalty of up to $200 will be charged to my account, and any equipment provided by Central Telcom Services, LLC dba CentraCom Interactive and Cut.Net (“CentraCom”) must be returned or penalties will be assessed. I acknowledge that maintenance and repair of the cable inside my home is my responsibility. Repair fees may be assessed for damage caused by subscriber or any other parties. I agree that I shall not make nor cause to be made any unauthorized extension or modification to the cable or Internet systems and will be responsible for any loss sustained in so doing. If I am not the owner of the real property to be served, I agree to indemnify and hold CentraCom harmless from any and all claims of such owners arising out of the performance of the terms of this agreement. I acknowledge having received a copy of the Subscriber Privacy Notice and Connection Contract and Use Agreement. I make application for the services and equipment and agree to pay current prevailing rates for all such services and equipment. In making this application, I agree to the rules, regulations, tariffs or rates for services furnished. Late charges, as regularly published by CentraCom, shall be added to all late payments received after the 20th of each month. Disconnection for late payment will be subject to a service restoration fee in addition to payment for all past due amounts. This application becomes a contract when accepted in writing by CentraCom. These services are not available in all areas. The undersigned agrees to pay all attorney’s fees, court costs, filing fees, including charges or commissions up to fifty-percent, that may be assessed to CentraCom by any collection agency retained to pursue this matter in the event of a breach of this agreement. Payment of first month of service constitutes acceptance of this agreement. I understand CentraCom may terminate my account, Service, or access to the internet if I engage in conduct that is threatening, abusive or harassing to CentraCom, its employees or any of its vendor's employees or representatives, including frequent use of profane, vulgar, or abusive language. *Promotional offer limited to CentraCom Expanded Basic or CentraCom Digital Advantage Cable service. To qualify for offer, service must be for a new customer. A new customer is defined as a household that has not been a CentraCom Cable TV subscriber for no less than 12 months. AFTER THE PROMOTIONAL PERIOD, CENTRACOM'S REGULAR CHARGES APPLY FOR THE REMAINDER OF CONTRACT PERIOD. SERVICE MAY BE CANCELLED AFTER CONTRACT PERIOD BY CALLING 1-800-427-8449. Limited to service to a single outlet. Equipment, installation, taxes and franchise fees extra. May not be combined with other offers. Certain services are available separately or as a part of other levels of service. Basic Service subscription required to receive other levels of service. Not all programming available in all areas. Call for restrictions and complete details. Price does not include local and state taxes and fees. Section 631 of the Cable Communications Policy Act of 1984 ("Cable Act") requires us to inform you of the following matters. The Cable Act requires us to inform you of the nature of personally identifiable subscriber information that we collect and of the nature of the use we make of such information. Generally, the Cable Act permits us to collect and use only the information needed for the business of providing cable and other services to subscribers. In order that we may continue to provide reliable, high quality service and maintain adequate records, we keep regular business records that contain your name, address, telephone number, social security number, and other personally identifiable information. Such records include billing, payment, deposit, complaint and service records, records of information you have furnished to us, such as the location and number of television sets connected to cable and the service options you have chosen. We maintain records of research concerning subscriber satisfaction and viewing habits, which are obtained from subscriber interviews and questionnaires. At such time as interactive or other transactional television services become available in your area, the cable system will automatically collect information on your use of such services, including information on the choices that you make along the range of services offered, including the programs you view or order, the time you actually use the services, products you order, and the use of other features, such as which menus and menu screens are used most often, the time spent using them and the use of the remote control feature. We use this information to sell, maintain, disconnect, reconnect and market services; to make sure that you are being billed properly for the services you receive; to maintain financial, accounting, tax, service and property records including records required by the terms of our franchise; for the purposes described below; and as otherwise necessary to provide the service. The Cable Act allows us to collect personally identifiable information and to disclose it to a third party only if (a) you consent in advance in writing or electronically; (b) disclosure is necessary to render cable service and other services we provide to you and related business activities; (c) disclosure is pursuant to a court order and you are notified of such order; or (d) for mailing list as described below. The Cable Act requires us to inform you of the nature, frequency and purpose of any disclosure which may be made of such information, including an identification of the type of persons to whom the disclosure may be made. We may make your records available to employees, agents and contractors to install, market, provide and audit cable service on each occasion access is needed for the specific job at hand. Access for these purposes is routine, and does not occur with any specific frequency. We may also occasionally release our subscriber list to a consumer research organization to conduct market research for programs shown by the cable system. This typically occurs no more than once each year. Further, we make our subscriber lists available to mailing services and programmers and outside auditors to check our records whenever such checks are required, which occurs irregularly; to attorneys and accountants on a continuous basis as necessary to render service to the company; to potential purchasers in connection with a system sale which occurs only at the time such sale is contemplated; to franchising authorities to demonstrate compliance at irregular times when compliance concerns are raised; and to collection services if required to collect past due bills at such time as bills are submitted for collection. Subscriber information also is disclosed to our bill payment lock box service each month as necessary for processing subscriber payments. We reserve the right to include information about you in collective or aggregate formats, such as ratings surveys and other statistical reports, which do not personally identify you, your particular viewing habits or the nature of any transaction you have made over the cable system. We take reasonable security precautions to protect your personally identifiable information that we collect on the service from unauthorized access, use, and disclosure. For example, we store billing records on computers in a controlled and secure environment. However, we cannot guarantee that our security precautions will prevent every unauthorized attempt to access, use, or disclose your personally identifiable information. The Cable Act also allows us to disclose your name and address for mailing list and other purposes unless you object. We do not presently sell our subscriber list or otherwise disclose it to commercial users, and do not anticipate making any such disclosure in the future. Should we make any such disclosure in the future, we will not disclose the extent of your viewing or use of a particular service or the nature of any transaction you may make over the cable system, but we may disclose that you are among those who subscribe to a particular service. If you do not wish to have your name and address included on a subscriber list disclosed to a commercial or charitable user, please contact us at the address shown on front of this form or call us at 1-800-427-8449. We will maintain most, if not all, of the personally identifiable information we have collected during the time you are a subscriber. We generally will destroy the information after a reasonable period of time has elapsed following the termination of your account with us, if the purpose for which such information was collected has been accomplished and we no longer need to retain the information for compliance with law, tax or other legitimate business activities. As described above, the Cable Act establishes your rights as a subscriber and the limits upon the cable operator with respect to the collection and disclosure of subscriber information. You have the right to inspect and copy our records, at your expense, that contain information about you and to correct any error in our information. If you wish to inspect the records at our system office pertaining to you, please contact us 1-800-427-8449 during regular business hours to set up an appointment. You may bring a private civil action in U.S. District Court and you may seek to recover damages, costs, and attorney fees if the limits under the Cable Act have been violated. Presently the FCC (Federal Communications Commission) rules do not necessarily require a cable TV system to carry all local broadcast stations. As a result, at this time or at a later date, you may not be able to receive all local broadcast stations over your cable system. To ensure that you will retain the capability of receiving all of the broadcast stations that are available off-the-air which might not be carried on the cable system either now or in the future, it may be necessary to use an input A/B selector switching device in conjunction with an antenna. This device, which connects to both your cable service and your antenna will enable you to select between cable service and local broadcast stations, television signals. Such switches are available for a fee from local electronics suppliers. A wide range of switching devices are available including, but not limited to mechanical, electronic, multiple input and remote switches which can be adapted to fit most needs. All questions related to this notice should be directed to the CentraCom Interactive Customer Service Department at 1-800-427-8449. This agreement is made by and between Central Telcom Services, LLC dba CentraCom Interactive CTS, a Utah limited liability company (“CentraCom”) having its offices at 35 South State, Fairview, Utah, 84629, and Subscribers. Pursuant to the terms of this agreement, and in exchange for the monthly amount, the Subscriber shall have the right to utilize the Telecom Services of CentraCom. Consistent therewith each Subscriber is responsible for his or her own account, and for ensuring full compliance by any individual user of the Subscriber’s account with the terms and conditions contained herein. The Subscriber is responsible for obtaining and maintaining all equipment necessary to connect to CentraCom. The Subscriber agrees to use the Telecom Services in a manner consistent with any and all applicable laws and the laws of foreign countries. The Subscriber specifically agrees to indemnify CentraCom and hold harmless CentraCom and its agents, employees, and assigns for any losses, costs, or damages, including reasonable attorney fees incurred by CentraCom relating to, or arising out of any breach of this Agreement, of breach of duty to another, caused by use of the Telecom Services by the Subscriber, or connection thereto, including but not limited to such things as, computer fraud, computer vandalism, including viruses, and objectionable or questionable content of mail, newsgroup postings, or use of the internet in general. CentraCom reserves the right to change fees, surcharges, Subscriber fees, or institute new fees at any time upon thirty days prior written notice. CentraCom may also terminate the subrscriber account, Service, or access to the internet if subscriber engages in conduct that is threatening, abusive or harassing to CentraCom, its employees or any of its vendor's employees or representatives, including frequent use of profane, vulgar, or abusive language. In the event of nonpayment, any breach of this agreement, or any other reason within the sole discretion of CentraCom, CentraCom shall have the right to immediately, without need of notice, terminate the Subscriber’s right of access to the Internet. Notwithstanding the foregoing, access to and use of the Telecom Services may be terminated by either party, at any time, by sending written notice to the other party. In the event of termination by the Subscriber, the Subscriber shall remain liable for any charges incurred until the effective date of termination, as well as any penalties or fees associated with early termination. The effective date of termination shall be the date upon which CentraCom receives the above described written notice, or on a future date so specified by the Subscriber. The Subscriber is responsible for implementing sufficient procedures and checkpoints to satisfy their particular requirements for accuracy of data input and output, and for maintaining a means external to CentraCom for reconstruction of any lost data. The Subscriber agrees to assess their own need for protective measures, and implement where necessary, whether under professional advice, including voltage spike protection, computer equipment insurance, virus detection and elimination software, security and system administration policies and obtain such protection as they see fit and not to make any claims against CentraCom, its users or faculty, for the loss or damage to their equipment. The Subscriber understands, and agrees, that opinions, advice, services and all other information expressed by, information providers, service providers or other third parties on the internet are those of the provider and not those of CentraCom. CentraCom exercises no control whatsoever of the content of the information passing through its Telecom Services. The Subscriber is responsible for all charges for connection directly to CentraCom’s Telecom Services. CentraCom assumes no responsibility or liability for any phone charges including but not limited to, long distance charges, per minute surcharges, and or equipment or line costs incurred by the Subscriber while accessing CentraCom’s Telcom Services. Any disputes or problems regarding telephone service are strictly between the Subscriber and his or her phone company (if other than CentraCom) and or long distance service provider. Upon termination of the agreement or the services contemplated hereunder, the Subscriber must either return all CentraCom equipment or hardware. CentraCom makes no warranties of any kind, whether expressed or implied, for the Telecom Services being provided. CentraCom also disclaims any warranty of merchantability of fitness for a particular purpose. CentraCom will not be responsible for any damage suffered by the Subscriber. This includes loss of data resulting from delays, non-deliveries, misdeliveries, or service interruptions caused by its own negligence or the Subscriber’s errors or omissions. Any access to other networks through CentraCom must comply with the rules appropriate for such other networks. Use of any information obtained via CentraCom is at the Subscriber’s own risk. CentraCom specifically denies any responsibility for the accuracy or quality of information obtained through its Telecom Services. The Subscriber specifically agrees not to upload, post, or reproduce in any way any materials protected by copyright without the permission of the copyright owner. Only public domain files, and files in which the author has given expressed consent for distribution, may be uploaded, copied, or otherwise reproduced by the Subscriber. CentraCom, at its sole discretion, reserves the right to refuse posting of files, and to remove files. CentraCom, at its sole discretion, further reserves the right to immediately terminate, without notice, any Subscriber who misuses uploading or posting to the internet. This agreement strictly prohibits the sharing of CentraCom’s Telecom Services with others. Each person who uses CentraCom must be a Subscriber in their own right. The Subscriber will not allow any unauthorized person or entity to utilize CentraCom’s Telecom Services. The Subscriber may not distribute user ID’s and or Passwords to the Telecom Services. The Subscriber agrees not to resell or obtain any compensation in any form, directly or indirectly, from any other person or entity for access, products, services or content through CentraCom without the express written permission of CentraCom. This agreement is not assignable or transferable without the express written consent of CentraCom. CentraCom’s Telecom Services may only be used for lawful purposes. Transmission of any material in violation of any US or any State’s regulation is prohibited. This includes but is not limited to: Copyrighted material, material that is legally judged to be threatening or obscene, or material protected by trade secret. The Subscriber specifically agrees to indemnify and hold CentraCom harmless from any claims resulting from a breach of these terms, and/or their use of the service which damages another party. All fees collected by CentraCom from the Subscriber are to be paid in advance. The Subscriber agrees to pay setup fees, if any, and to pay the last month’s fees in advance. The Subscriber agrees to maintain a zero balance on their account by paying in advance for said month’s services. Any increment higher than a calendar month is acceptable to CentraCom. This agreement, together with any handwritten terms on the reverse hereof, constitutes the entire agreement between CentraCom and Subscriber. The term and conditions of this agreement shall be interpreted and enforced pursuant to the laws of the State of Utah. CentraCom Interactive (“the Company”) has adopted the following network management practices, performance characteristics, and commercial terms and conditions for its broadband Internet access services in compliance with the Federal Communications Commission’s (“FCC’s) Open Internet Framework requirements (GN Docket No. 09-191 and WC Docket No. 07-52). The Company manages its network with the goal of providing the best practicable broadband Internet experience to all of its customers. Within the scope of its resources, it attempts to deploy and maintain adequate capacity and facilities within its own network, and to self-acquire sufficient Middle Mile capacity or facilities outside its service area to connect with the Internet. The Company and its staff use their best efforts to monitor, address and minimize (but do not guarantee that they can prevent) the effects of spam, viruses, security attacks, network congestion, and other phenomena that can degrade the service of affected customers. For purposes of its congestion management practices, the Company will consider a period in which a “congestion problem” arises and exists to be one where the Company’s utilization statistics exceeds 85% peak capacity. It will consider a “high-volume customer” as one that uses more than 2 gigabits of bandwidth during a 24 hour period. The Company does not favor or inhibit certain applications or classes of applications. Customers may use any lawful and commercially available application they desire on the Company’s network. The Company does not have any approval procedures that must be satisfied before a device can be connected to its network. Customers may use any lawful, compatible, type-accepted (if necessary) and commercially available device they desire on the Company’s network, as long as such device does not harm the network. The Company uses a hybrid fiber optic, copper digital subscriber line (“DSL”) and coax network that reaches approximately 98 percent of the potential customers in its rural service area. The node network reaches approximately 98 percent of such customers. The expected access speeds in the DSL portions of the network range from 1.5 megabits per second (“Mbps”) to 20 Mbps, depending upon the actual lengths of the respective fiber trunks and copper lines. The expected access speeds in the FTTN portion of the network range from 6 Mbps to 20 Mbps, depending upon the electronics installed. The Company offers facilities-based VoIP services to end-users. The Company provides its own Middle Mile facilities for routes approximately 100 miles long between the Company’s service area and the closest Internet nodes. The Company cannot guarantee that it will be able to obtain additional Middle Mile capacity at commercially reasonable prices if and when needs for additional Middle Mile capacity arise. The commercial terms and conditions of the Company’s broadband Internet access services are contained in greater detail in the service offering/acceptable use/privacy portions of this website. This section provides a brief overview or reference to terms and conditions detailed elsewhere, plus discussions of other terms and conditions required by the FCC’s Open Internet Framework. The Company does impose fees for early termination with respect to certain of its service arrangements. These early termination fees are imposed upon the service arrangements specifically identified in the Company support section in the manner and under the conditions set forth therein. The Company assesses fees for additional network services as indicated in shop section. In addition, the Company is willing to consider and negotiate prices for customized additional network services requested by specific customers or edge service providers if such services can be designed, developed and furnished in a commercially reasonable manner. If and when such customized services are developed and furnished, the Company reserves the right to adapt and provide them to other customers on a non-discriminatory basis so long as such subsequent provision does not entail disclosure of proprietary or confidential information of the initial customer. The Company’s other privacy policies and procedures are listed in the support section of this website. Questions and complaints regarding the foregoing matters should be addressed to Eddie Cox at (435) 427-3331 or e.cox@cut.net. The Utah Public Service Commission has established rules about telephone consumer/company relationships. These rules cover payment of bills, late charges, security deposits, complaints, service disconnections and other matters. These rules assure customers of certain rights and outline customer responsibilities. Advise you of Lifeline, Link up America and any other sources of possible financial assistance in paying your bill. Allow you to designate a third party to be notified in the event your telephone service is to be disconnected. Continue service for a reasonable time if you provide a physician’s statement that a medical emergency exists in your home. Give you written information about Commission rules and your rights and responsibilities as a customer under those rules. Use telephone services safely and pay for them promptly. Contact CentraCom Interactive when you have a problem with payment, service safety, billing or customer service. Notify CentraCom Interactive about billing or other errors. Contact CentraCom Interactive when you anticipate a payment problem to attempt to develop a payment plan. Notify CentraCom Interactive when you are moving to another residence. Notify CentraCom Interactive about stopping service in your name or about stopping service altogether. Permit access to your property for essential CentraCom Interactive personnel and equipment. You have 60 days after receiving a bill to dispute 900 pay-per-call errors. While your charges are being investigated, you have the right to withhold payment for the disputed 900 charges. Action will be taken within 60 days from the receipt of the dispute. If these charges are found to be legitimate, the telephone company will transmit to you an explanation of the investigation’s findings. Payment for these charges will be due with the next billing cycle, but if that falls less than 10 days from the sending of the explanation, you will have at least 10 days to pay. If payment is not made, a long distance carrier can initiate a collection procedure against your account. Your local and/or long distance service cannot be disconnected for failure to pay 900 charges. If you do not pay legitimate 900 charges, the telephone company has a right to block your account. If the telephone company, as your billing entity, fails to follow the billing and collection procedures described by 308.7 of the Federal Trade Commission rule implementing Federal Telephone Disclosure and Dispute Resolution Act, it is obligated to forfeit any disputed amount, up to $50.00 per transaction. CentraCom Interactive, Inc. is the recipient of Federal financial assistance from the Rural Electrification Administration, an agency of the U.S. Department of Agriculture and is subject to the provisions of Title VI of the Civil Rights Act of 1964, as amended, Section 504 or the Rehabilitation Act of 1973, as amended, the Age Discrimination of Agriculture which provide that no person in the United States, on the basis of race, color, national origin, age or handicap, shall be excluded from participation in, admission or access to, denied the benefits of, or otherwise be subjected to discrimination under any of this organization’s programs or activities. The person responsible for coordinating this organization’s nondiscrimination compliance efforts is Casey Cox. Any individual, or specific class of individuals, who feels that this organization has subjected them to discrimination may obtain further information about the statutes and regulations listed above from and/or file a written complaint with this organization or the Secretary, U.S. Department of Agriculture, Washington, D.C. 20250. Complaints must be filed within 180 days after the alleged discrimination. Confidentiality will be maintained to the extent possible. the privacy policies that apply to subscribers to each CentraCom product and service. Questions regarding this statement should be directed to CentraCom by going to http://www.centracom.com/contact and following the instructions there. The information collected by CentraCom falls into two categories: (1) information voluntarily supplied by visitors to and users of the website and (2) tracking information recorded as visitors and users navigate through the website. Some of this information is personally identifiable information, but much of it is not. Personally identifiable information is information that identifies a particular person. To make use of some features on our website visitors and users need to register and provide certain information as part of the registration process. We may ask, for example, for your name and e-mail address. Our systems may remember some of this information the next time you log in and use our website, but you can always review and change your information by following the instructions below under Changes to Information in this statement. The more you tell us about yourself, the more value we can offer you. Supplying this information is entirely voluntary. But if you choose not to supply the information, we may be unable to provide you with the products and services we make available to other users of and visitors to our website. When you submit any personally identifiable information over this website, CentraCom (i) will use the information for the purposes described at the time you submit it and (ii) may use the information to contact you. Of course, if you want to remain completely anonymous, you’re still free to take advantage of any publicly available content on our website without registration. We consider the personally identifiable information contained in our business records to be confidential. We may sometimes disclose personally identifiable information about you to our affiliates or to others who work for us. We may also disclose personally identifiable information about you to service providers and vendors, and to others who provide products and services to us. For example, when you use certain functions on this website you may notice that the website actually collecting or processing the information may be other than a CentraCom website. We may be required by law or legal process to disclose certain personally identifiable information about you to lawyers and parties in connection with litigation and to law enforcement personnel. For example, we may be required by law to disclose personally identifiable information about you without your consent and without notice in order to comply with a valid legal process such as a subpoena, court order, or search warrant. In connection with the standard operation of CentraCom’s systems, certain non-personally identifiable information about visitors to this website is recorded. This information is used primarily to tailor and enhance visitors’ experience using the website. We may use this information in an aggregate, non-personally identifiable form to, among other things, measure the use of our website and determine which products and services are the most popular with website visitors. Where do we permit visitors and users to opt in or out of CentraCom promotional e-mail? You may choose to receive, or not receive, promotional e-mails about CentraCom’s products and services by going to the web page located at www.centracom.com and following the instructions there. If you have otherwise provided your e-mail address to CentraCom, or CentraCom has already obtained it, then CentraCom may have already contacted you about receiving promotional e-mails separately. You will always be able to unsubscribe to the email list from the email you received. All information gathered on our website is stored within a database maintained by or for CentraCom and its specifically authorized contractors and vendors. However, as effective as any security measure implemented by CentraCom and its partners may be, no security system is impenetrable. We cannot guarantee the complete security of our database, nor can we guarantee that information you supply won’t be intercepted while being transmitted to us over the Internet. If you don’t want us to know any particular information about you, don’t include it in anything that you submit or post to this website or send to us in e-mail. You may review and change information that you provide to us through this website by returning to the pages where you entered it, and reviewing or changing the information directly. This privacy statement discloses the privacy practices for this website only. CentraCom supplies a copy of the privacy notice that applies to our cable television, high-speed Internet, and phone products and services separately to our subscribers. You may view that privacy notice at http://www.centracom.com/support at any time. Welcome to this website, a service of CentraCom Interactive and its subsidiaries (collectively, “CentraCom,” “we,” or “us”). Please read this Visitor Agreement before you use this website. By using this website, you agree to abide by the terms of this Visitor Agreement. We may change the terms of this Visitor Agreement from time to time. By continuing to use the website after we post any changes, you accept and agree to this Visitor Agreement, as modified. CentraCom respects the privacy of our visitors to and users of this website. Please review our Privacy Statement located at http://www.centracom.com/support. We invite you to send in your questions or comments about this website, or to bring to our attention any material you believe to be inaccurate. You may communicate with us directly by going to http://www.centracom.com/contact and following the instructions there. The material that appears on this website is for general informational purposes only. While we try to ensure that any information we post to this website is both timely and accurate, errors may appear from time to time. We cannot make any representations with respect to any information that is posted on this site by us or anyone else. This website may not be updated daily, and certain information may not be the most current information available. Though we may post follow-up information, and may continue to provide access to the original information, as in an archive of blog postings, for example, we may not go back and change the original content to reflect new developments. If you’re looking for the most recent information on a given subject be sure you’re not looking at an out of date posting. Before you act on information you’ve found on our website, you should independently confirm any facts that are important to your decision. Much of the material appearing on this website will be provided by users. CentraCom does not claim ownership of any material that users submit or post on this website. By using this website to submit or post material, you (i) warrant that the material, and its posting, complies with the provisions of this Agreement and other terms and policies applicable to this website, (ii) consent to, license, and authorize CentraCom, its agents, suppliers, and affiliates to store, reproduce, use, publish, distribute, and display the content on a worldwide, perpetual, irrevocable, royalty free, and transferable (including the ability to sublicense) basis, (iii) warrant that you have the right to provide this authorization, and (iv) warrant that the material, and its posting, does not violate or infringe any third party’s intellectual property, proprietary, privacy, or other similar rights. Although we make this website freely accessible, we don’t intend to give up our rights, or anyone else’s rights, to the materials appearing on the website. The materials we make available through this website are the property of CentraCom or its licensors, and are protected by copyright, trademark and other intellectual property laws. CentraCom and its licensors expressly reserve all rights and licenses in and to the material we make available. CentraCom is not responsible for, and cannot guarantee the performance of, any products and services provided by any advertisers or others, including those to whose websites we link. A link to another website does not constitute an endorsement of that site (nor of any product, service or other material offered on that site) by CentraCom or its licensors. We welcome links to our website. You are free to establish hypertext links to this site so long as the links do not state or imply any affiliation, connection, sponsorship, or approval of you, your enterprise, or your site by CentraCom. We do not permit framing or inline linking to our website or any portion of it. CentraCom does not solicit, and does not want to receive, submissions containing product, service, or other business ideas, works, or inventions. If we receive these submissions, we will deem them to be submitted on a non-confidential basis and they will become the sole property of CentraCom. CentraCom may, in its sole discretion, reproduce, use, publish, modify, disclose, distribute, or otherwise use these submissions in any way and for any purpose. All these uses by CentraCom shall be without liability or obligation of any kind to you. These uses may include, for example, use of the content of any of these submissions, including any works, marks or names, ideas, inventions, concepts, techniques or know-how disclosed therein, for any purpose without any obligation to compensate the originator of such communications and without liability to that person. CentraCom is committed to complying with U.S. copyright and related laws, and requires all users of this website to comply as well. Copyright owners who believe their rights are being infringed by any content on this website should contact CentraCom at http://www.centracom.com/contact, which we apply to this site. We don’t want anyone to be confused as to which materials and services are provided by CentraCom and which aren’t. CentraCom and the CentraCom design logo are registered trademarks and/or service marks of Central Utah Telephone, Inc. or its subsidiaries. Other trademarks appearing on this website or other CentraCom sites linked to from this website are the property of CentraCom or their respective owners. CentraCom reserves the right at any time to terminate your use of this website if you fail to comply in full with any term of this Visitor Agreement, or any other terms, agreements, or policies that apply to this website and the use of it. CentraCom also reserves the right at any time to discontinue this website for any reason. You agree to indemnify, defend, and hold harmless CentraCom (including its parents, subsidiaries, and affiliates and all of their respective officers, directors, employees, agents, licensors, suppliers and any third-party information providers) against all claims, losses, expenses, damages and costs (including reasonable attorney fees) resulting from any breach of this Visitor Agreement or unauthorized use of this website by you. Your indemnification obligation shall survive the termination of this Visitor Agreement. At our expense and election, we reserve the right to assume the exclusive defense and control of any matter subject to indemnification by you and you agree to cooperate with CentraCom in connection with our defense. THIS WEBSITE IS PROVIDED TO YOU “AS IS,” “WITH ALL FAULTS,” AND “AS AVAILABLE.” CENTRACOM AND ITS AGENTS AND LICENSORS CANNOT AND DO NOT WARRANT THE ACCURACY, COMPLETENESS, USEFULNESS, TIMELINESS, NONINFRINGEMENT, MERCHANTABILITY OR FITNESS FOR A PARTICULAR PURPOSE OF THE INFORMATION AVAILABLE THROUGH THE WEBSITE, NOR DO THEY GUARANTEE THAT THE WEBSITE WILL BE ERROR-FREE, OR CONTINUOUSLY AVAILABLE, OR THAT THE WEBSITE WILL BE FREE OF VIRUSES OR OTHER HARMFUL COMPONENTS. UNDER NO CIRCUMSTANCES SHALL CENTRACOM (INCLUDING ITS PARENTS, SUBSIDIARIES, AND AFFILIATES) OR ITS AGENTS OR LICENSORS BE LIABLE TO YOU OR ANYONE ELSE FOR ANY DAMAGES ARISING OUT OF ANY USE OR MISUSE OF THIS WEBSITE, INCLUDING, WITHOUT LIMITATION, LIABILITY FOR CONSEQUENTIAL, SPECIAL, INCIDENTAL, INDIRECT, OR SIMILAR DAMAGES, EVEN IF ADVISED BEFOREHAND OF THE POSSIBILITY OF SUCH DAMAGES, REGARDLESS OF THE FORM OR CAUSE OF ACTION INCLUDING, BUT NOT LIMITED TO, CONTRACT, NEGLIGENCE, AND OTHER TORT ACTIONS. BECAUSE SOME STATES DO NOT ALLOW THE EXCLUSION OR LIMITATION OF CERTAIN CATEGORIES OF DAMAGES, THE ABOVE LIMITATION MAY NOT APPLY TO YOU. IN SUCH STATES, THE LIABILITY OF CENTRACOM AND ITS AGENTS AND LICENSORS IS LIMITED TO THE FULLEST EXTENT PERMITTED BY SUCH STATE LAW. YOU AGREE THAT THE LIABILITY OF CENTRACOM (INCLUDING ITS PARENTS, SUBSIDIARIES, AND AFFILIATES) AND ITS AGENTS AND LICENSORS, IF ANY, ARISING OUT OF ANY KIND OF LEGAL CLAIM IN ANY WAY CONNECTED TO THE WEBSITE SHALL NOT EXCEED THE AMOUNT YOU PAID TO CENTRACOM FOR THE USE OF THE WEBSITE. To obtain access to certain services on our website, you may be required to register. As part of any registration process, you will select a user name and a password. You agree that the information you supply during that registration process will be accurate and complete and that you will not register under the name of, nor attempt to enter the service under the name of, another person. CentraCom reserves the right to reject or terminate any user name that, in its judgment, it deems offensive. You will be responsible for preserving the confidentiality of your password and will notify us of any known or suspected unauthorized use of your account. This Visitor Agreement has been made in and shall be construed in accordance with the laws of the State of Utah. By using this website, you consent to the exclusive jurisdiction of the state and federal courts in Fairview, Utah, in all disputes arising out of or relating to this Visitor Agreement or this website. In the event that any portion of this Visitor Agreement is held to be unenforceable, the unenforceable portion shall be construed in accordance with applicable law as nearly as possible to reflect the original intentions of the parties and the remainder of the provisions shall remain in full force and effect.